Summary: you can’t help feel that Madagascar is one film that had a lot of attention paid to a couple of hilarious specifics, to the detriment of its disappointing whole. You can see what Dreamworks were trying to go for with the Ben Stiller/Chris Rock vehicle that is Madagascar, a film that is very nearly not very good at all. Dreamworks knows that its rival, Pixar, has the edge over them in terms of animation. For every Shrek and, er, Shrek II that Dreamworks brandishes with glee, Pixar calmly trumps them with gems like The Incredibles – one of the best looking action films in recent years. So for Madagascar, Dreamworks don’t even really try to compete on the animation stakes. True, they’ve come up with some gubbins about how they’re trying to put a whole new modern spin on the classic Tex Avery ‘toons, but to the untrained eye, Madagascar does not have much of a wow factor, looks wise. It is pretty obvious that Dreamworks thinks that its trump card is the quartet of voices it has put together for its four main leads. Rock and Stiller, along with Jada Pinkett Smith and David Schwimmer play four best friends who have lived all of their lives in New York’s Central Park Zoo: Alex the Lion (Stiller), the zoo’s main attraction who lives for his steaks, but just doesn’t know where they come from; Gloria the Hippo (Pinkett Smith), Melman the hypochondriac Giraffe, and finally, Alex’s best friend Marty the Zebra (Rock). Dreamworks must have thought that with the combined talents of their four leads, they were onto a winner. Ben Stiller is probably the biggest name in film comedy at the moment, ditto David Schwimmer in terms of television, Jada Pinkett Smith is one half of a pretty famous celebrity couple and well, Eddie Murphy was damn funny as a talking donkey, so it stands to reason that another black stand up comedian would be just as funny as a talking donkey, right? Unfortunately, with each of the four, Dreamworks gets it just plain wrong. Stiller is exceedingly popular for playing the uptight, Jewish nebbish that he has played in practically every film he’s been in. But this type is so recognisable, when it’s put with an animated character, it jars. Schwimmer is surprisingly restrained in a role that by rights he should have nailed. Pinkett Smith, playing a ‘sassy hippo’ makes you realise that racial stereotyping in movies is alive and well. And Rock just doesn’t have the vocal talents to match Murphy, with whom you just can’t help but compare him to. To be fair to the four, they are not really helped by uninspiring animation, a limp squid of a script and an almost complete lack of narrative (which involves the four friends escaping from the zoo, getting captured, being shipped off to Africa and finding themselves washed up on the shores of Madagascar). But this is not really the main reason why they do not work. It’s because the creative team behind Madagascar have concentrated so hard on getting their supportive cast exactly spot on, they have not paid enough attention to their leads, and the film sags considerably when only the four main characters share the screen. Madagascar’s supposedly ‘minor characters’ completely make the film, and are alone worth the price of admission. There’s a lovely double act in the form of a couple of monkeys, one a mute, the other a pretentious intellectual, who escape from the zoo in order to throw pooh at Tom Wolfe. There’s also a group of penguins, (voiced by members of the film’s creative team) attempting to tunnel to Antarctica, who act as a spot-on pastiche of hard-bitten, all-action war-film POW’s. But most hilariously, there is King Julien, the utterly bonkers monarch of the lemers, voiced by our very own Sacha Baron Cohen, who practically steals the film under the noses of his more famous co-stars. Playing King Julien like a crazed Indian corner-shop owner with delusions of grandeur, Baron-Cohen teeters on the edge of racial stereotyping. But he not only gets away with it, he is bloody funny to boot. Being the only big animation film out this summer, and with just enough to please both kiddies and adults, Madagascar has done reasonably well. And it is tempting to suggest a viewing for Baron Cohen alone. 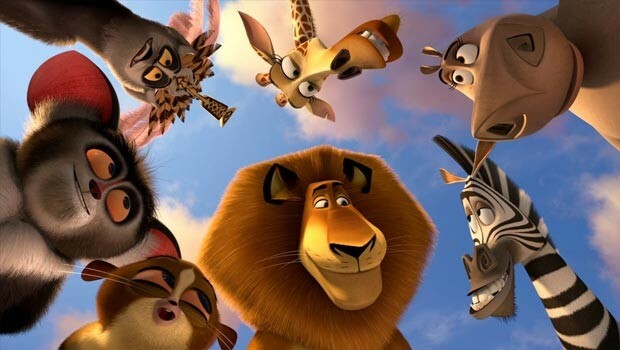 But no matter how good the supporting cast is, you can’t help feel that Madagascar is one film that had a lot of attention paid to a couple of hilarious specifics, to the detriment of its disappointing whole.